El Faro: Navy locates likely wreckage of cargo ship. 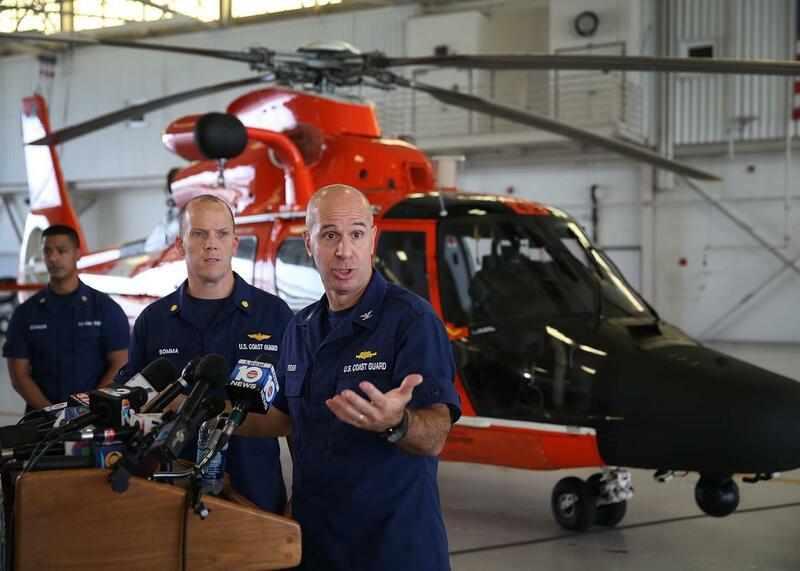 Coast Guard Captain Mark Fedor speaks to the media, at U.S. Coast Guard Station Miami, about the sinking of the 790-foot container ship El Faro on October 5, 2015 in Opa Locka, Florida. It looks like the mystery of cargo ship El Faro is closer than ever to being resolved. A Navy search team located the wreckage of a ship that is believed to be of El Faro, which disappeared on Oct. 1 with 33 people on board while traveling from Jacksonville, Florida to Puerto Rico during Hurricane Joaquin. It was the worst disaster involving a U.S.-flagged cargo ship since 1983, notes Reuters. The search team located the wreckage that is believed to be of El Faro near its last known position. “The target identified … is consistent with a 790-foot cargo ship, which from sonar images appears to be in an upright position and in one piece,” said the National Transportation Safety Board. The finding will be confirmed using a deep ocean remotely operated vehicle.